The revolution is now upon us. The era of commuter friendly, performance electric cars has arrived. Gone are the days of slow and boring electric cars that were made to get from point-a to point-b while being the most efficient as possible. Now, you can feed your need for speed with a Tesla. 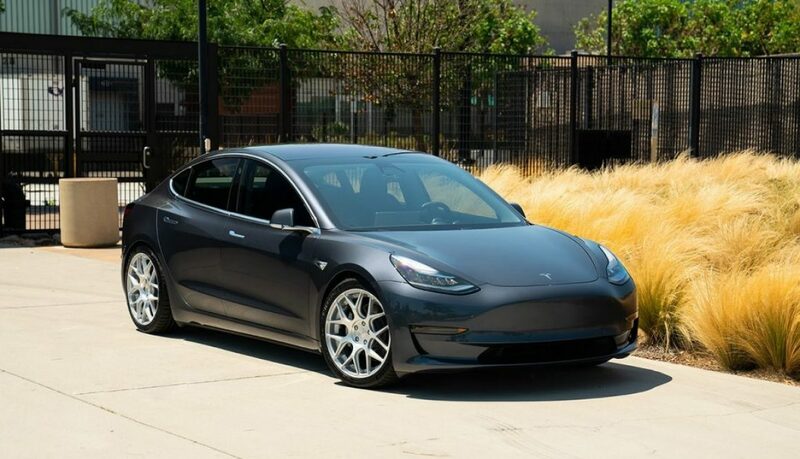 Featuring a recently released Tesla Model 3 fitted on our 19-inch Avant Garde Wheels M590 finish in our standard Satin Silver finish to provide a classy, yet sporty factory look. From factory, the Model 3 comes equipped with a split-five spoke wheel hidden by an full-face aero plate to maximize aerodynamics. The wheel hidden underneath the plate looks great but the 18″ size leaves a lot of room and gap under the wheel well. The client opted to size up to a 19″ size and switch things up with a mesh design to obtain a more sporty, yet classy look for his Model 3. The AG M590 offers a thin split-spoke mesh design with accented spoke detailing to provide a chiseled, aggressive look. Finished in a factory Satin Silver, the wheel complements the Tesla well and offers good contrast to the overall look of the car compared to the gloss black stock wheel. Despite the fact that the Tesla Model S has been out for about five years now, the aftermarket for Tesla still remains relatively small. With a revolutionary new platform and the new technology that comes with it, developing unique aftermarket options can be difficult. 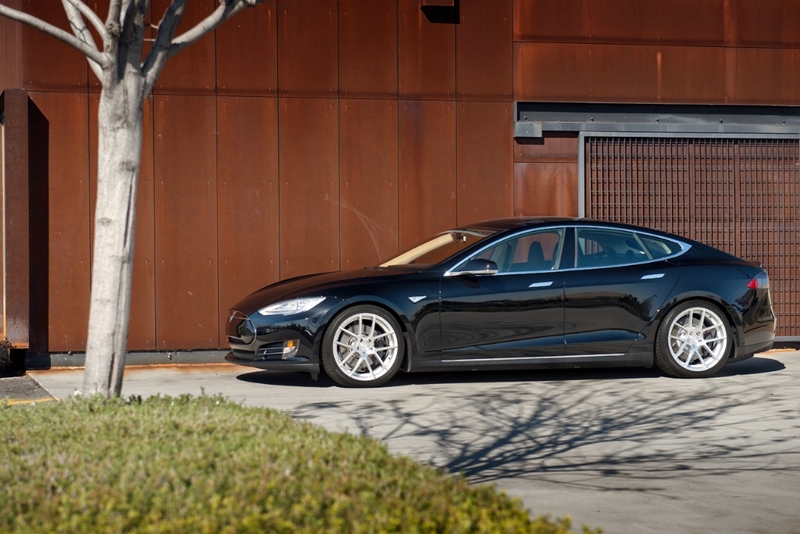 Because of this, one of the best ways to set your Tesla Model S apart from the rest is to upgrade from the OEM wheels. 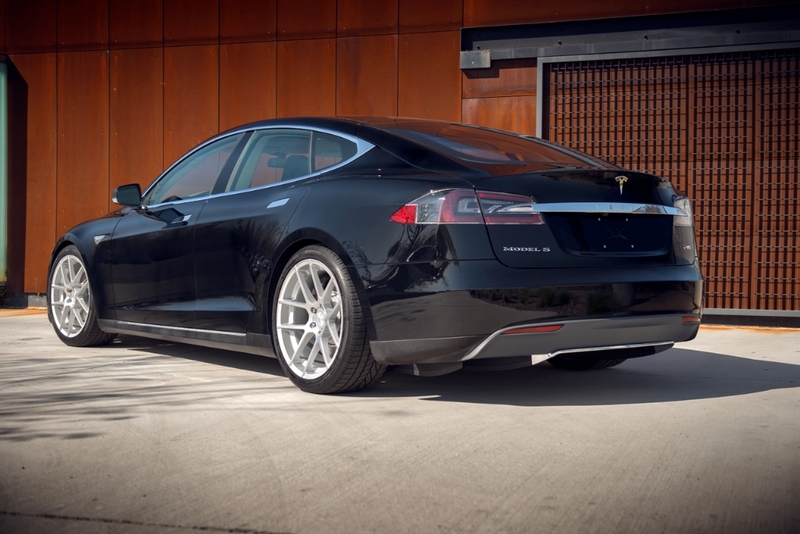 Although we now offer a wide range of wheel options in 19”, 20”, 21”, and 22” sizes for the both the Tesla Model S and Model X, today’s post is going to focus on one of the earliest sets we installed back at the start of 2013 for a Model S P85. 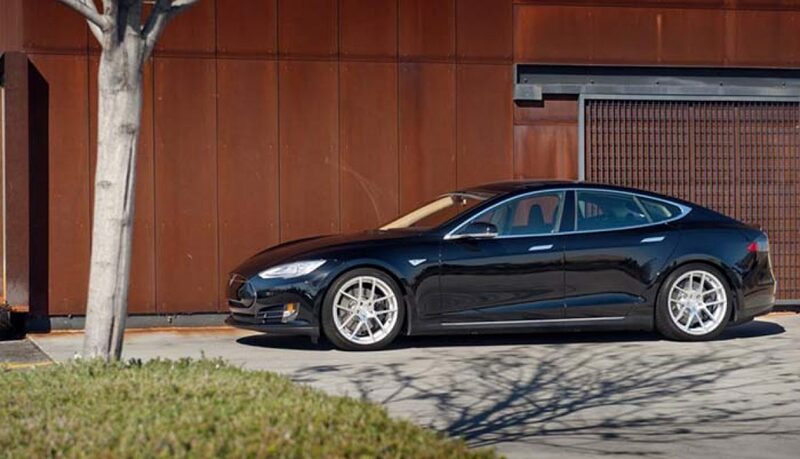 Over the years, one dilemma we regularly encounter from Tesla owners is whether to go with a 19” wheel or a larger 21” wheel. This was the case for this Model S as well. The owner had just taken delivery and was looking to put a set of wheels on before owning the car for even a week. 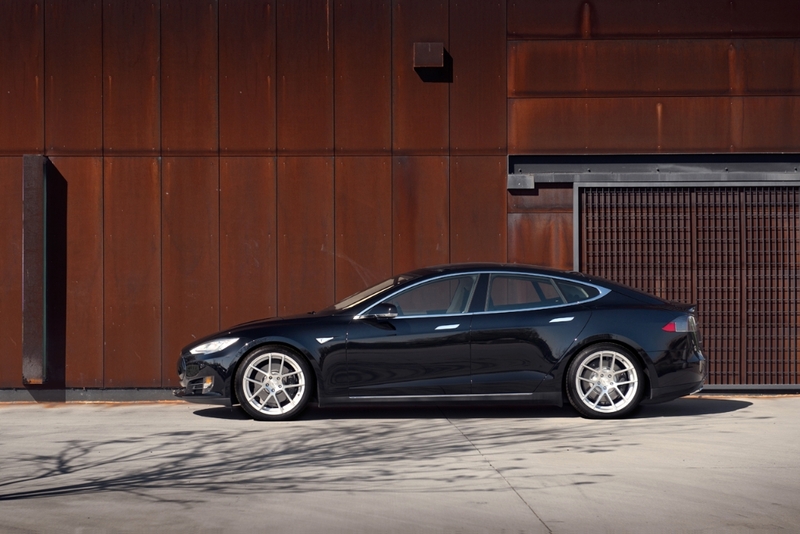 19” wheels offer a more comfortable ride and greater range, but 21” wheels are a lot more imposing for a large vehicle like the Model S. We’ve learned throughout the years that most Tesla owners prefer to opt for a 20” wheel. This is the best option to have a larger wheel without sacrificing ride comfort. We were able to test fit a variety of wheels on this P85, but the owner eventually opted for a set of 20×8.5” / 20×10” M510 wheels in our standard Satin Silver finish. This is a direct bolt on configuration from one of our stock wheel fitments without any additional modifications required on the vehicle and wheel. The owner favored the M510 as the split-five spoke design gives the Tesla a more sporty look while allowing him to see the large OEM Tesla brake calipers through the wheel. The staggered wheel widths also allowed for our deep concave 20×10” M510 to be installed on the rear to accentuate coupe-like lines of the Model S.